A father of girls is always interested in strong female characters. You hope all your kids would turn out like Mutsmag, would stand up to people and make right decisions based on what they want out of life rather than what is expected of them. R. Rex Stephenson, father of three daughters and playwright, October 1, 2001. "Mutsmag." In Richard Chase. Grandfather Tales. Boston: Houghton, 1948, pp. 40-51. With a full-page drawing, by Berkeley Williams, Jr., of the giant's wife beating him, and a drawing of the giant stuck at the riverbank at the end. Mutsmag is a female giant killer who survives cowardly bullying and neglect from her selfish sisters, uses her wits and a humble case-knife inherited from her mother to outsmart the giant and his wife, and gains a monetary reward from the king. Mutsmag gets some magic help near the beginning from a fox and a little bluebird that tells her to stop a riddel (sieve) with moss and clay in order to fill it with water. But generally, she relies less on magic than her European counterparts. Chase identifies the tale as type 1119. His sources were several people in Wise County, VA, including James Taylor Adams, and Cratis D. Williams of Boone, NC (native of Lawrence County, KY). See below for Williams' version. (Google Books is displaying a full copy of this tale online on 3/7/13). Reprinted in de Caro, Frank A., ed. An Anthology of American Folktales and Legends. Armonk, NY: M. E. Sharpe, 2009. (Varied anthology of 266 tales and legends including Appalachian Jack tales, "Mutsmag," and many others. Contents listed at publisher's web site. Index of Tale Types and Motifs included.) Also reprinted in Appalachian Heritage, vol. 14 (Spring 1986): 44-47. "Munsmeg" as collected by Richard Chase and James Taylor Adams. Full text in this web site. JTA-3068. This version directly from the oral tradition is similar to the one Chase published in Grandfather Tales. Mutsmag as adapted by R. Rex Stephenson. An online picture book in AppLit, illustrated by school children in Franklin County, VA. This story follows the same plot as the script described below. Detailed background is at Introduction to Mutsmag. More drawings by school children in AppLit Picture Gallery. "Mutsmag" by R. Rex Stephenson. Story theatre script for The Jack Tale Players. Ferrum, VA, 2000. Based on an unpublished manuscript of "Munsmeg" collected by Richard Chase (see above), found in the James Taylor Adams Collection of Folklore in the Blue Ridge Institute Archives. Stephenson puts extra emphasis on Mutsmag's cleverness, as she has to outwit her mean sisters and a group of three democratic one-eyed robbers, as well as the giant and his wife. She relies even less on magic than Chase's Mutsmag. She sings "Froggy Went A-Courtin'" loudly to keep her sisters awake at the giant's house and uses other tricks to survive. The two-headed giant (played by one actor on the shoulders of another) drags his own daughters away by mistake, but does not strangle them onstage (which is their fate in most versions of the tale). Mutsmag tricks his wife into going off to drink up the Atlantic Ocean (similar to the giant's fate in Maol a Chliobain), and tricks the giant into sniffing "magic powder" that is really pepper, so that he falls down and breaks apart (reminiscent of the giant's fall to his death in "Jack and the Beanstalk"see photo at right of Mutsmag in rear and two-headed giant broken apart). The innovative ending in this adaptation combines elements of previous versions by giving Mutsmag a choice of rewards. She chooses to take gold from the king and seek more adventures before settling down, while the prince hopes she'll marry him later. For more discussion, see AppLit article Strong Women in Appalachian Folktale Dramatizations by R. Rex Stephenson. See also Study Guide, more pictures of Jack Tale Players performance, video clip in YouTube.com, and photos at top of Stephenson Bibliography. Performance and Publication Notes: Stephenson's "Mutsmag" and "Ashpet" were performed in Dec. 2003 within the play called Grandmother Tales at Radford University's Pridemore Playhouse. A short review appeared in Radford's The Tartan; see photo of Mutsmag at left (other photos on "Ashpet" page; photos courtesy of Radford University and Pat Whitton). Published as Grandmother Tales: Mutsmag and Ashpet, Traditional Tales from the Blue Ridge Mountains. Charlottesville, VA: New Plays for Children, 2004. Reprint Woodstock, IL: Dramatic Publishing, 2012. Richard Chase's archive version of "Munsmeg" and Rex Stephenson's script "Mutsmag" are published in Crosscurrents of Children's Literature: An Anthology of Texts and Criticism, in Part 3 on oral and written literary traditions, Oxford University Press, Oct. 2006. "Mutts Mag." In Cratis D. Williams. Tales From Sacred Wind: Coming of Age in Appalachia. Eds. David Cratis Williams and Patricia D. Beaver. Jefferson, NC: McFarland, 2003, pp. 72-83. This posthumous book about Williams' early life contains a photo of his grandmother, Amanda Griffith Whitt, who never went to school but learned this tale from her mother Elzina (b. 1827 in Wayne County, VA). Williams' account of the difficult lives of these women makes one imagine how satisfying Mutsmag's triumph would have seemed to them. Williams' son and daughter recall hearing it when they were young. Williams had told it to Chase (as acknowledged in Grandfather Tales) and was not sure whether his later reading of Chase's published version influenced this retelling. It was recorded in 1981 at Appalachian State University, with Williams attempting to use his grandmother's dialect. The plot is similar to Chase's, but more details from daily life are included. One difference is that Poll and Nance are Mutsmag's half-sisters, and the details on their harsh treatment of her and all the work she does make her seem more like a Cinderella/Ashpet character in the beginning. They try to kill her by locking her up in a hollow stump and a shop house. The giant is huge but has a head not much bigger than your fist. With her reward of gold, Mutts Mag buys herself a farm and builds a house on it—just like the king's house. (See Davenport film, below.) The narrator asserts in the end that "folks tole me that she's a-livin mighty fine" (p. 83). "Mutsmag." Told by Charlotte Ross. The Jack Tales Festival. 2002. Also includes "Big Jack & Little Jack" by Connie Regan-Blake, "Jack's First House" by David Joe Miller, Jack & the Frogs by Dianne Hackworth, and "Jack and the Doctor's Girl." by Orville Hicks. Videotape from the 4th annual festival to benefit the Ray and Rosa Hicks fund, August 17, 2002, at Bolick Pottery and Traditions Pottery, near Blowing Rock, NC. For more information, see page The Latest Tale. . . . by Dianne Hackworth in Dianne's Storytelling Site, or call 336-877-4110. This version of "Mutsmag" is very similar to the Cratis Williams tale (above). Ross says it came from along Big Sandy River, on the border of KY and WV, in 1805. Mutsmag has to go to the neighbors to get meal for journey-cakes and then catch up to her sisters, Poll and Nance, on the road, although she has no shoes. Ross puts her two fists together to show how the giant has a head as big as "two fistes." She uses lots of dialect terms, such as "unst" for "once," "widder" (Mutsmag's mother), "bethunk," "seed" (past tense of "see"), "red up" (for cleaning the house), "sos'n" (for "so that"). In Encyclopedia of Appalachia (2006), Ross wrote the entry on History of Storytelling, where she states that "Julius Caesar's legions found Jack tales already being told in Cornwall" but there are few written records aside from "letters, diaries, and scattered local records" that help trace "individual stories...For example, the first written record foreshadowing the story known as 'Mutzmag' was in the 1100s in Scotland. By the 1400s, it was known there as 'Molly Whuppie.'" Then Ross cites Virginia F. B. Kegley's Virginia Frontier: The Beginning of the Southwest (1938), which "attributed it to the Scots-Irish in the 1750s. She then refers to Cratis Williams' mother Mona Williams tracing the story in her family to 1805. "However, the story's Scottish antecedents puzzled her; she thought the story was German, as the spelling of the heroine's name and certain internal clues suggest. By 1805, 'Mutzmag,' a feminist tale about a resourceful young girl, showed distinct signs of ethnic blending" (pp. 1267-68). Mutzmag: An Appalachian Folktale. Dir. Tom Davenport. Davenport Films, 1992. Wonderful live-action adaptation using amateur actors from North Carolina, recommended for ages 10 and older. Young Mutzmag's confident voice as narrator offsets the violence of her encounters with cannibals. She settles down in her own house near the friendly "king and queen" after making the neighborhood safe by eliminating the giant and his wife. See AppLit's Bibliography of Davenport's Fairy Tale Films. "Polly, Nancy, and Muncimeg." In Leonard Roberts. Up Cutshin and Down Greasy. Lexington, KY: Univ. of KY Press, 1959. pp. 119-23. Rpt. 1988. This tale is more like the British "Molly Whuppie" (see below) when Muncimeg's reward is marriage to a prince, after she saves them from the giant and her success with taking objects from the giant results in her older sisters marrying the older princes. Muncimeg magically escapes from all bad situations by calling on her "mommy's old pocket penknife and gold ring." WorldCat lists a 1955 article with this title in Literature of Folklore, 742: 9, reprinted from Kentucky Folklore Record, vol. 1, no. 1 (Jan.-Mar. 1955) with informants Tom Couch, 1861- and Jim Couch. "Polly, Nancy, and Muncimeg." In McCarthy, William Bernard, ed. Cinderella in America: A Book of Folk and Fairy Tales. Jackson: University Press of Mississippi, 2007. pp. 313-17, with notes on the source and tale types. Reprinted from Leonard Roberts' Sang Branch Settlers (1974). Told to Roberts in 1952 by Jim Couch in Putney, KY (and printed 1959 in Up Cutshin, above). McCarthy observes that "Muncimeg's name seems Scottish. The Scots word munsie means 'a person deserving contempt or ridicule; an odd-looking or ridiculously-dressed person'.... Just the sort of thing a mean older sister might call her little sister" (317). He also refers to the Edinburgh cannon called Muncy Meg (see other ideas on name of gun named Munsmeg below). Chapters 12 and 13 of this book focus on tales from the Southern mountains. The book demonstrates that American folktales, from Revolutionary times to the present, should not be viewed as watered-down versions of tales from older cultures. "These tales are drawn from published collections, journals, and archives, and from fieldwork by McCarthy and his colleagues." See tales listed at Folktale Collections Indexed in AppLit. "Muncimeg." In Gail E. Haley. Mountain Jack Tales. New York: Dutton, 1992. Like the tale collected by Leonard Roberts (below), this version has a more conventional ending with Muncimeg marrying a prince. Haley's wood engraving is a lively portrait of Muncimeg straining tenaciously with the physical and emotional effort of pulling a sack of gold out from under the head of the sleeping giant. 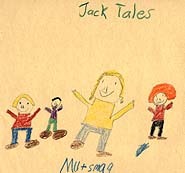 See Appalachian Folktale Collections A-J for more details on Haley's book of Jack tales and Muncimeg. "Mutsmag." Grandfather's Greatest Hits. Whitesburg, KY: June Appal, 1900-1979? LP sound recording. Tales from Chase's Grandfather Tales, including also "Soap, Soap, Soap," "Gallymanders, Gallymanders," "Chunk of Meat," "Two Old Women's Bet." With voices of Don Baker, Jeff Kiser, Marcia McIntosh, Jane Moody, Jack Wright, Angie DeBord, Frank Taylor. Roadside Theater (WorldCat information). "About Mountain Tales and Music," with photos, letters, reviews, and a study guide attached, is an Appalshop page telling about Roadside Theater's first play, which toured to schools, churches, community centers, and outdoor sites beginning in 1975. It was "a production of Jack and Mutsmeg stories originally from the British Isles and the ballads and fiddle tunes that had been passed down from generation to generation in the Appalachian Mountains since the late 1700s." The study guide says, "There are hundreds of Jack Tales. An interesting variation are the Muttsmeg Tales, a female version of Jack." "Mutsmag." Retold by Gurney Norman. Jack Tales: A Project of Media Working Group. Similar to Chase's "Mutsmag" with a few modern details; Mutsmag is rewarded with gold at the end (apparently no longer online; see video Jack in the City at Media Working Group site). "The Great Adventures of Mutsmeg." "As performed by Faye Massey, Anna Scales, Heather Fugate, and Scott Thrasher." In Jack Tales: A Project of Media Working Group. Summary of a performance in which two contemporary sisters try to persuade a younger one that she can do her math, and then tell her the story of "Mutsmag" (as in Chase's Grandfather Tales). This is from a 1996-97 community oral history and performance project, Jack in the City, developed by the Media Working Group in Covington, KY (like the retelling of "Mutsmag" by Gurney Norman, above; these materials are apparently no longer online; see video Jack in the City at Media Working Group site). "Mutsmag." Retold by Anndrena Belcher, summarized in Telling Tales Teacher's Guide for the KY Educational TV series of dramatized folktales (p. 72, with study guide pp. 73-74). Notes link "Mutsmag" with an Irish tale, "Molly and the Giant" (see below). In the Telling Tales video Mutsmag, 1990, children from the audience do gestures, play roles, and mime parts of the story. They recite repeated lines such as "She dipped it down again and the water poured out." Belcher's tale is different from other versions because Mutsmag has a father, meets a queen, and lives happily with her sisters at the end. The father, who would not remarry after his beloved wife died, tests all three girls by asking them to carry water in a riddle, or flour sifter. A little bluebird sings the solution to Mutsmag. Daddy gives her a rusty old Barlow knife, saying it would be of much help, and might have magic in it. After he dies and the sisters eat and sell all their inherited cabbage, they set out for New York City. They say Mutsmag is too "raggedy tag" to go along, but only she can make journey cakes for them. Most of the tale is similar to the one in Chase's Grandfather Tales. After getting her fox helper a goose dinner at a farm, she tells him, "My name's Mutsmag if you ever need my help again." After Mutsmag eavesdrops on the witch and mean hairy giant, and switches the nightcaps so that he snaps the necks of the wrong girls, the giant and witch "fit and fought" over this mistake, giving the girls a chance to run off. A queen down the road offers all the girls a bag of gold. The greedy sisters think "shopping mall," but they run away. In the end, when the giant falls to the bottom of the river with a rock tied around his neck, a tidal wave washes Mutsmag from her rock to the other side. When Polly and Betsy come home, the girls get a "nice organic farm" together. A sound recording of this tale from the 1991 National Storytelling Festival, Jonesborough, TN, is archived in the American Folklife Center, Library of Congress. 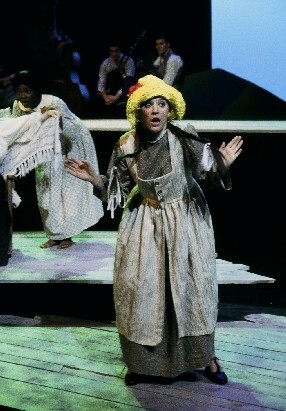 In this performance, Belcher says that Mutsmag is the "least little one" and Belcher doesn't know how she got that old name. Mutsmag gets two bags of gold in the end and gold is given to the poor. Mutsmag and her sisters go home and raise "good clean produce." The giant either drowns at the end, or some say he broke the rope, swam down to a strange land, and is now up in Washington, D. C. He may cause trouble in politics. "Mutsmeg." Retold by Loyal Jones. In Appalachian Folk Tales. Ed. Loyal Jones. Illus. Jim Marsh. Ashland, KY: Jesse Stuart Foundation, 2010. pp. 78-86. This book has twelve tales by different storytellers and writers, with a Note to Parents and Teachers on moral values in folktales, a glossary, and background on the collectors and storytellers. (See Folktale Collections Indexed in AppLit.) Jones notes that he heard Richard Chase, Cratis Williams, Leonard Roberts, and Charlotte Ross tell this tale. Mutsmeg's stepsisters send her to get water in a sieve to make herself journey-cakes before she can join them, and she manages this with the help of a bird. They tie her to a tree and she uses her knife to get away. They trap her under a tree trunk and a fox helps her escape. In the old woman and giant's house, she exchanges nightcaps with other three girls, and cuts holes with her knife to spy on the giant and his wife and to help her sisters escape through the roof. She gets a thousand dollars for rescuing the king's horse, after the giant catches her and tries to fatten her up to eat her. She uses reverse psychology to get what she wants to eat and escape from being trapped in a sack. At the end she tricks the giant into drowning himself, as as the end of the Davenport film. "Mutsmeg." Retold by Tim Lowry. 14:54 min. Getting the Creeps: Spooky Tales. Woodruff, SC: Studio 101, 2013. CD. Lowry, a professional storyteller, is a native of Harlan County, KY. The short video clip in CD Baby (where his tales can be purchased), depicts "poor little old Mutsmeg" when her sisters are mean to her after their mother's death. They remind her that their mother gave her a butcher knife, and they won't give her any food. "Muts Mag." Retold by Michael "Badhair" Williams, in Tell Me a Story. Vol. 5. Videocassette. Barr Entertainment, 1986. A professional North Carolina storyteller who does great character voices tells stories to a small group of children. "Muts Mag" is very similar to Chase's "Mutsmag," except that after conquering the witch, the heroine does not go back after the giant. She takes her reward of gold from the king back to her home and lives a real good life, with a big garden. Video also includes "Old One-Eye" and a short song, "Turkey in the Straw." Cartoon-like drawings illustrating the plot are shown occasionally during the storytelling. "Mutsmag: The Movie." Video by Morgan Stewart. YouTube.com, 2010. 14 min. (accessed 3/14/16). Video of a shadow puppet retelling of "Mutsmag," with background music. Captions, not voices, tell the story between frames of the shadow puppet show. No other information is given about creators of the shadow puppets or sources of the tale. The plot is a condensed version similar to Richard Chase's (above) except that the three sisters encounter a giant woman before her giant man comes home. "Mutsy of the Sea" - a California adaptation of "Mutsmag" by Shelby Mahan, 2009. Full text in this web site. Mahan wrote this story after she studied "Mutsmag" at Hollins University in the course English 535, Traditions and Adaptations in Literature for Young Children: Appalachian Emphasis. If you read "Munsmeg" collected by Richard Chase or other versions of the Appalachian tale, you will see how Mahan has adapted the story with many details from her own west coast region. Another reference in WorldCat: a video called Muts Mag distributed by Kartes Video Communications, 1986, 30 min. (no subject labels indicating Appalachian or other origin). "Mutsmag" told by Angelyn DeBord at the 1982 National Storytelling Festival, Jonesborough, TN. Sound recording archived in the American Folklife Center, Library of Congress. DeBord calls Mutsmag "the equivalent of Jack" and says she had a hard time deciding whether to tell about Jack or Mutsmag in this session. Her Mutsmag has a father "getting old in life," who sends his 3 daughters out to seek their fortunes. He uses the riddel test to decide who will get his heritage. DeBord has audience members help her act out the tale and they repeat lines such as "Dipped it up, it all run out." A bird tells Mutsmag with a little song how to get the water. Her father says Mutsmag is the smartest but his heritage is a half a loaf of lightnin bread. Mutsy Mag (as they sometimes call her) has never been away before. At the fork of a road, after the bread is gone, thinking makes her hungry and a huge yellow butterfly starts hitting her on the nose. It keeps hitting her nose to lead her to a big tree with a pole at its base, and into an underground world with colors and things she has never seen before. As in Beauty and the Beast tales, doors swing open for her in empty rooms, and Mutsmag sleeps in a huge bed, playing the next day with the butterfly. At night a cat appears and tells her when she is tired and hungry. One day the cat says she should let no one see her, but when there is a knock at the door, Mutsmag is persuaded to stick her little finger out. A poison dart to her finger makes her fall to the floor. The cat pulls the dart out. At night she watches the cat, which sheds its skin and becomes "the prettiest man she'd ever laid eyes on in her life." He gets in her bed, she slides out and throws the catskin in the fire. The man screams but then explains that "I been witched for years," and he had been robbing banks as a cat–a cat burglar. That is now ended, but he and the witch have plenty of gold. Mutsmag suggests they marry. Poll denies having injected the poison dart and says a witch must have done it. The end explains that the butterfly becomes a milk cow. This unusual tale about Mutsmag has some similarities to Snow White (the attack by a rival while the heroine stays in a strange house), Whitebear Whittington (the man transformed into an animal, appearing at night, a ban on revealing aspects of the heroine's situation), The Frog King and other animal groom tales (enchanted human is restored when skin is burned) and Cat 'n Mouse (a person transformed into a cat marries the hero/ine). AppLit article "Strong Women in Appalachian Folktale Dramatizations by R. Rex Stephenson" by Tina L. Hanlon. Includes other photos of Jack Tale performances. "Strong Women in Appalachian Folktales" by Tina L. Hanlon, in The Lion & the Unicorn, vol. 24 (April 2000): 225-46 (available online through Project Muse). Introduction to Mutsmag gives background, student writings on R. Rex Stephenson's version, and links to more pictures. Barosin, Vera Counts. "Recollections of Grandfather Elijah Rasnick." Historical Sketches of Southwest Virginia. The Historical Society of Southwest Virginia, publication 12, 1978, pp. 17-20.1857-1943. Rpt. http://www.rootsweb.com/~vawise2/sketches/HSpubl73.html. Barosin describes her grandfather's talent at telling stories passed down from the British ancestors. She quotes Chase describing Rasnick's creation of the giant's and heroine's voices in telling "Mutsmag." Rasnik is listed in Grandfather Tales as one of Chase's Wise County, VA informants. Kay Stone mentions "Polly, Nancy, and Muncimeg," collected by Leonard Roberts, in "Things Walt Disney Never Told Us." See her articles on feminist interpretations of folktales in AppLit's bibliography of Background Resources on Appalachian Folktales. Hanlon, Tina L. “Snow White and Mutsmag in Appalachian Folktale Adaptations.” Paper presented at Children’s Literature Symposium. University of South Florida Sarasota-Manatee, Sarasota, FL, Feb. 3, 2012 (unpublished). Hanlon, Tina L. “‘Way back yonder’ But Not So Far Away: Teaching Appalachian Folktales.” Appalachia in the Classroom. Ed. Theresa Burriss and Patricia Gantt. Ohio University Press Ethnicity and Gender in Appalachia Series. Book forthcoming in 2013, with many examples related to teaching "Mutsmag" in this chapter. Song "Jack and Molly Where Did You Go?" by Bet Stewart and Company, contains the line "And Molly turned into Mutsmeg, a hero that never fails." The song refers to tales about Jack and Molly leaving the country and moving to the city, as people move to find jobs. This is from a 1996-97 community oral history and performance project, Jack in the City, developed by the Media Working Group in Covington, KY (like the retelling of "Mutsmag" by Gurney Norman, listed above; these materials are apparently no longer online but see video Jack in the City at Media Working Group site). There is a gun called Munsmeg at Edinburgh Castle, Scotland. A 1734 manuscript traces it to 1511, but that is disputed by scholars. "It asserts that the name is after James IV's Queen, Margaret, and the word 'muns' meaning 'little', 'on account of her extraordinary size' [ie. the gun's size, not the Queen's]" (WorldCat entry on Munsmeg gun document). See Jack and the Giants and Jack and the Bean Tree for many other tales in which heroes, usually male, overcome giants. "The Babes in the Woods" and "The Two Lost Babes" and "Hansel and Gretel" depict children who are lost or abandoned in the woods. In some tales with these or similar titles, they take shelter in a witch's house, where they have to use their wits to survive. See comments below on comparisons between Molly Whuppie and "Hansel and Gretel." Shelby, Anne. "The Adventures of Molly Whuppie." In The Adventures of Molly Whuppie and Other Appalachian Folktales. Illus. Paula McArdle. Chapel Hill: Univ. of NC Press, 2007. pp. 1-7. A storyteller and writer from southeastern KY, Shelby adapts Joseph Jacobs' English "Molly Whuppie" and observes that her tale is closest to the Appalachian "Merrywise" collected by Leonard Roberts (see below). She adapts other tales from Appalachia, with elements from European and Japanese tales, in this collection of 14 tales, most of which have Molly as a "clever, brave, and strong" hero (book jacket). She triumphs over giants in 5 of the tales. In "Molly and Jack" (similar to "Raglif Taglif Tetarlif Pole"), she helps Jack escape from a giant (see Noteworthy Girls in Jack Tales). "Molly and the Giant" is based on "Jack Outwits the Giants" collected by Roberts. The title tale has only one female giant from whom Molly helps her sisters escape. In just one tale Molly ends up in a kingdom with a Queen, who puts Molly in charge of Giant Control and Other Giant-Related Matters, but Molly's family returns to Hoot Owl Holler after they get tired of living in luxury with "everything done real proper and just so" (pp. 13-14). See more on this book at Appalachian Folktale Collections K-Z. Shelby tells "Molly Whuppie: The Giant Slayer" at Hindman Settlement School in a 2-part video: Part 1 and Part 2, 2010 (accessed 10/22/15). Shelby, Anne. The Adventures of Molly Whuppie. A play based on eastern Kentucky tales collected by Leonard Roberts about heroic girls and Jack. The play is described in Spring 2001 Events, Women's Studies, University of Kentucky; and in Meihaus, Stacie. "Get Ready for Some Folk 'Whuppie.'" Kentucky Kernel 7 Mar. 2001, online archives of the student newspaper of the Univ. of KY, Lexington. See also "Rema Keen and the After School Drama Team." In "2002-2003 Visiting Artists." Polk County, NC Schools, 2001. Description with two photos of Rema Keen's adaptation of The Adventures of Molly Whuppie with students at Saluda School (preK-8th grade), Saluda, NC. Brown, Joella. Molly Whuppie. Musical in 4 acts with Appalachian setting and language, combining adaptation of the folktale with a frame set in everyday life, published by New Plays for Children. "Merrywise." Told by an 11-year-old Jane Muncy in KY. In Leonard Roberts. I Bought Me a Dog: A Dozen Authentic Folktales from the Southern Mountains. Berea, KY: Council of the Southern Mountains, 1954. Merrywise follows his brothers after their mother dies and they stay with a friendly old woman who is a witch and wants Merrywise to be her boy. Merrywise tricks her in the night by switching caps, so that she beheads her own two boys. Then he uses magic articles they drop in a "magic flight" to impede the witch when she chases them. In the end they drown her in her own "puddin-tuddin bag." Roberts reprinted this tale in South From Hell-fer-Sartin' (see above), where he cites type 1119, The Ogre Kills His Own Children. A version of "Merrywise" told by Jane Muncy from Hyden, KY (as told by her grandmother), from the Berea College Southern Appalachian Archives (Berea Archives Number: LR-001-A-01) is in the Tales Online database, available through some library services and schools. "Merrywise." Told by Jane Muncy Fugate (from KY). Recorded by Carl Lindahl in a college folklore classroom, 2001. American Folktales: From the Collections of the Library of Congress. Ed. Carl Lindahl. Vol. 1. Armonk NY: M. E. Sharpe, 2004, pp. 287-93. Fugate is a psychotherapist who called Merrywise an overcomer or coping person, one who doesn't always do everything right or easily, but does know how to use his tools to cope with obstacles (even though he's small and the youngest brother). Fugate's grandmother told her stories to keep her occupied, share family memories, and "to help us learn something." The other Merrywise tales from Fugate in this section are "Old Greasybeard" and "The King's Well" (where he also outwits a giant). "Nippy and the Yankee Doodle," a tale similar to "Mutsmag" with male characters, collected by Virginia Haviland from a Kentucky man. In Virginia Haviland, ed. North American Legends. New York: Collins, 1979. Nippy accomplishes feats similar to Mutsmag's, winning wives for his brothers and himself. He is clever, too, but not as flamboyant as Mutsmag with her case-knife. "Nippy and the Yankee Doodle." In Leonard Roberts. Nippy and the Yankee Doodle and Other Authentic Folk Tales from the Southern Mountains. Berea, KY: Council of the Southern Mountains, 1958. Roberts recorded the tale in 1955, identifying it as Type 328, The Boy Steals the Giant's Treasure. Instead of a giant, there is an old man whom Nippy tricks into cutting the throats of his own three daughters (saving himself and his brothers Jim and John). Roberts reprinted the tale in Old Greasybeard: Tales from the Cumberland Gap. Illus. Leonard Epstein. Detroit: Folklore Associates, 1969. Rpt. Pikeville, KY: Pikeville College Press, 1980. Also reprinted in Jimmy Neil Smith, ed. Why the Possum's Tail is Bare and Other Classic Southern Stories. New York: Avon, 1993. "Nippy." In Leonard Roberts. South From Hell-fer-Sartin': Kentucky Mountain Folk Tales. U of KY Press, 1955. Rpt. Berea, KY: The Council of the Southern Mountains, 1964, pp. 46-49. In this one Nippy faces a giant and switches lockets with the giant's three daughters. After his brothers escape, Nippy hides under the bed playing an organ. When Nippy escapes, a man pays him to steal the organ and several other things from the giant, including moonlight. "Then he went back home, and he was rich and his other brothers wa'n't." "Nippy." Told by Benny Ray Woods. Leonard Roberts Collection. Berea College Southern Appalachian Archives. SAA 57. Audio recording. Digital Library of Appalachia. (Accessed Aug. 21, 2016). Woods, a student at Hyden Elementary School in Leslie County, Kentucky, was recorded by Leonard Roberts 10-10-49. "Nippy and the Giants." Collected in Hiawassee, GA. In John A. Burrison, ed. Storytellers: Folktales and Legends from the South. Athens, GA: U of GA Press, 1989, pp. 219-21. Nippy is a servant of the giant family that plans to eat him. Nippy steals the giant's oxen and magic music box, makes the giant kill his own daughters, and chops off the head of the giant's wife before she can bake him. In each episode Nippy escapes on a swinging bridge. Much of this tale is similar to Mutsmag and Molly Whuppie tales. "Little Nippy." Told by Lee Wallin, Sodom, NC. Recorded by Henry Glassie (accompanied by Richard Chase), Madison Co, NC, 1963. American Folktales: From the Collections of the Library of Congress. Ed. Carl Lindahl. Vol. 2. Armonk, NY: M. E. Sharpe, 2004, pp. 573-79. With background on the storyteller and his style, and the collectors. Wallin insisted on having an audience of children to tell this tale. Nippy and his brothers make three trips across a river to get things from a giant, using a staff that makes a bridge for him. He also kills the giant's three daughters and beheads his wife, so Nippy gets to marry "the king's baby girl" in the end. "Two Children and the Giant." Told by Hattie Presnell to Barbara McDermitt. Cassette tape MCD-5. Barbara McDermitt Collection. Archives of Appalachia, East Tennessee State University. On this tape, Presnell comments on the storytelling tradition of Beech Mountain, NC, and tells swiftly narrated versions of some tales to McDermitt, admitting that there are some she can't remember of the vast number told by her family. Click here for a summary of this Beech Mountain tale. "The Three Girls with the Journey-Cakes" in Marie Campbell. Tales from the Cloud Walking Country. Indiana UP, 1958. Rpt. Athens: U of Georgia Press, 2000, pp.140-43. Told by Uncle Tom Dixon in E. KY. A widow's gentle third daughter, leaving home to look for her lost older sisters who went to seek their fortunes, shares her journey-cake with the wood creatures. They help her stay awake and make the dead man she is watching stay dead. With her reward of magic liniment, she revives her sisters who had failed at this job and been killed by the man's sister. They return home to their mother, living off the third daughter's other wages: "A peck of gold and a peck of silver would last a mighty long time if a body never spent lavish." The same story appears in Ann Durell, compiler. The Diane Goode Book of American Folk Tales and Songs. Illus. Diane Goode. New York: Dutton, 1989, pp. 42-51. "The Bewitched Princess," a tale from Poland collected in West Virginia, in Musick's Green Hills of Magic. A princess is able to do what her husband and mother-in-law cannotbuild a bridge that hangs from one hair (like Molly Whuppie's), which then drowns the rich landowner who "made improper advances" at her wedding (p. 138). "The Little Girl and the Giant." In Leonard Roberts. South From Hell-fer-Sartin': Kentucky Mountain Folk Tales. U of KY Press, 1955. Rpt. Berea, KY: The Council of the Southern Mountains, 1964. A little girl, who is warned by her mother to watch out for a giant, is taken away in his pocket and made to cook dead men for the giant's supper. Her mother follows a bird to find the girl and both escape. When the giant chases them, they send him to the spring for a drink, where he drinks so much water "that he busted." The giant says "Fee fie, foe, fum," etc. as in "Jack and the Bean Tree." Roberts' notes cite type 327, The Children and the Ogre. "The Little Blue Ball." "Told by Jimmy Pennington, age 17, Leslie County, from his grandmother." In Leonard Roberts. South From Hell-fer-Sartin': Kentucky Mountain Folk Tales. Lexington: U Press of Kentucky, 1955. Rpt. Berea, KY: The Council of the Southern Mountains, 1964. No. 6a, pp. 27-28. Previously published in Mountain Life and Work, vol. XXVIII, Spring 1952. Three daughters take turns following a blue ball that rolled into their yard, although their mother fears it will take them into a giant's den. All three girls tell their mother they won't go in the giant's den, but they do. The first two girls get their heads cut off because they don't complete the chores the giant asks them, in a rhyme, to do in order to get a reward. The third obeys the order to "Wash my dishes, feed my cat and dog, / Make up my bed, sweep my house," so she gets a hundred dollars and a buggy to take her home. Roberts' detailed notes on tale types, motifs, and parallels tell of "The Girl in the Robbers' Cave," from Perry County, about a girl with a mean stepmother who follows a red ball into a robbers' cave, where a prince rescues her. "Jack and the Miller's Daughter" contains the motif (number H1023.2.0.1) of filling the sieve with moss to carry water. When their mother sends them on this errand, Will and Tom ignore the little bird's advice and throw rocks at it, while Jack feeds the bird, which gives him wing feathers and enables him to fly across the flooded river. When Will and Tom arrive at the rich miller's house, Jack is already finely dressed in residence there, having won the contest for the miller's daughter's hand by being the first one to cross the river. Will and Tom run off "because they couldn't stand to think that they had been beaten by their youngest brother whom they had called a fool." In Leonard Roberts. South From Hell-fer-Sartin': Kentucky Mountain Folk Tales. U of KY Press, 1955. Rpt. Berea, KY: The Council of the Southern Mountains, 1964, pp. 86-88. Roberts notes that he had seen no complete parallel to this tale from a Kentucky teenager who learned tales from an old woman who seemed to have northern European sources, and no complete parallels to a similar Norse tale in which boys compete for a king's daughter. Folktale Collections Indexed in AppLit lists contents of the Heroes and Giant Tales section of Leonard Roberts' Old Greasybeard collection. Jacobs, Joseph. "Molly Whuppie." English Fairy Tales. 3rd ed. 1898. Rpt. New York: Dover, 1967. pp.125-30. Jacobs' source notes acknowledge that the tale is "originally Celtic" and he changed the name Mally to Molly. This version is brief and quite blunt in telling that Molly's parents send the three girls into the woods because they are too poor to feed them, the giant beats his girls to death and is tricked into battering his wife inside a sack, and Molly is sent to steal the giant's sword, purse, and ring. The giant survives, however, and the end simply says Molly never sees him again. Jacobs' source was Folk-Lore Journal, vol. 2, no. 3 (March 1884), pp. 68-71, where the heroine's name was Mally Whuppie. Molly Whuppie. The excellent web site Sur La Lune Fairy Tales reprints Jacobs' version in the section "Tales Similar to Hansel and Gretel." Maria Tatar also groups this tale with "Hansel and Gretel" variants in The Classic Fairy Tales. A Norton Critical Edition. New York: W. W. Norton, 1999. For a college student's comparison, see "Mutsmag" vs. "Hansel and Gretel." Illustration of Molly stealing the giant's sword while he sleeps, on a Russian web site. Illustrations by Erroll Le Cain of "Molly Whuppie" from the 1983 edition of Walter de la Mare's text, with beautiful illustrations by Le Cain (Faber and Faber). In web site The Illustrated Works of Erroll Le Cain. De la Mare, Walter. Molly Whuppie. Illus. Errol LeCain. New York: Farrar, 1983. Picture book with beautiful illustrations. De la Mares version, with more beautiful poetic images and less violence than others, is also reprinted in anthologies such as Rosemary Minard's feminist collection. "Maol a Chliobain." In Angela Carter, ed. The Old Wives' Fairy Tale Book. New York: Pantheon, 1990, pp. 24-27. A collation of Scots Gaelic tales from Western Scotland (see below). This version explains that Maol plucks a hair from her head to make the magic bridge of one hair found in Molly Whuppie stories. In the end Maol tricks the giant into drinking the river dry and he bursts (similar to Mutsmag's method of getting rid of the witch in Stephenson's Appalachian dramatization, although Stephenson hadn't read this tale when he wrote his in May 2000). Notes explain that one of the informants said Maol never married (232). Jacobs cited this tale as "undoubtedly the source of...Molly Whuppie" (252). Hannah Aitken observes that "Mally Whuppie is a much kindlier creature than the grim Maol a Chliobain" (A Forgotten Heritage: Original Folk Tales of Lowland Scotland, Rowman and Littlefield, 1974, p. 117). "Maol a Chliobain," collected from Ann MacGilvray, Islay. In Popular Tales of the West Highlands by J. F. Campbell, Volume I . "Orally collected with a translation by" Campbell. Reprinted in The Internet Sacred Text Archive. Click here for a summary of this translated Scottish tale. MacGilvray's "Maol a Chliobain," as published in J. F. Campell's Popular Tales of the West Highlands: Orally Collected. (1890-1893), is also reprinted in Sur La Lune Fairy Tales as a tale similar to "Hop'o My Thumb." "Hairy Rouchy" is another Irish tale cited in Joseph Jacobs' notes, from Patrick Kennedy's The Fireside Stories of Ireland (Dublin, 1870). Jacobs noted that the plot is very similar to "Maol a Chliobain." But the heroine is covered with hair. Her sisters tie her to a tree when they try to keep her from following them in the beginning, as they set off to seek their fortune. (Stephenson's Appalachian adaptation uses a variation on this motif, although he was not conscious of remembering tales like this one.) She tricks the giant into drinking the river dry at the end and returns in triumph to the King of Spain to marry the prince, who looks kindly on her in spite of her horrible appearance. On her wedding day she asks to pick up a poor woman and Hairy Rouchy transforms into a beautiful young woman. "When they were talking by themselves, she told him that an enchantment was laid on her when she was a child, and she was always to remain the fright she was, till some one would marry her for the sake of her disposition. The travelling woman was her guardian fairy in disguise." See summary of "The Bear-Maiden" at this link for intriguing similarities with an Ojibwa tale from Wisconsin. "Peg Bearskin." Told by Elizabeth Brewer to collector Harold Healey. Freshwater, Placentia Bay, Newfoundland, 1976. In Herbert Halpert, J. D. A. Widdowson, and Martin J. Lovelace. Folktales of Newfoundland: The Resilience of the Oral Tradition. New York: Garland Pub, 1996. In this tale, two daughters leave home to get away from their sister; the third, who follows them, has been named Peg Bearskin because she is "big, ugly, 'an hairy" and no one likes her. The pretty sisters throw rocks at her but she keeps following and even gets a place for them to stay the night, where she has to sleep on the floor. Peg saves her sisters from the old woman's murder attempt by switching their caps with the one on the woman's two daughters and getting them out of the house in the morning. Later Peg goes to the king to get husbands for her sisters. She uses pepper to trick an old man and take his decanter that can never be emptied. She uses salt to trick the old woman into making the stew too salty and taking a lantern with a half-mile light from the girl who goes to fetch water. Peg gives these to the king so her sisters can marry his sons. He doesn't want a prince to marry Peg, but she gets a saw and knife from him to get "a horse that can go ten times swifter than a cannonball," with a golden bell on every hair of its mane. The old witch recognizes Peg from previous tricks and Peg uses the reverse psychology trick to get tied into a bag by the side of the road. While the woman gets hazel sticks, Peg gets her cat, dog and crockery to put in the bag. Peg takes the horse and the woman follows in one almost as fast. When they cross a bridge, it gives way after Peg crosses and the woman goes into the river. After the king reluctantly marries his youngest son to Peg, she knows he doesn't want her and insists that he burn her. "The Bear-Maiden: An Ojibwa Folk-Tale from lac Courte Oreille Reservation, Wisconsin." Recorded by Albert Ernest Jenks. The Journal of American Folklore, vol. 15, no. 56 (Jan. - Mar. 1902): pp. 33-35. In 1899 "the Bear-Maiden was told by old Pa-skin', an Ojibwa woman considerably more than one hundred years old" (p. 35). Click here for a summary of this Ojibwa tale with a plot similar to "Molly Whuppie." Reprinted with some editing in Jean Cothran, ed. With a Wig, With a Wag, and Other American Folk Tales. Illus. Clifford N. Grady. New York: David McKay, 1954, pp. 84-89. Molly Whuppie 2006. Photos and synopsis of dramatic adaptation at Licketyspit Theatre, at The Brunton Theatre, Musselburgh, Scotland. Book and CD available from theatre. Muller, Robin. Mollie Whuppie and the Giant. Buffalo, NY: Firefly, 1982. This picture book contains some modern enhancements of Mollies self-reliance and generosity. It emphasizes her bravery in figuring out that the bridge of one hair is magic and taking her sisters across it. She also reforms the giants wife instead of killing her. At the end she leaves her prince at the altar, making him wait until she goes off on adventures. Click for illustration. Molly Whuppie: An English Fairy Tale. Adapted and illustrated by Toni Murphy. In Story Hour. Kidspace@The Internet Public Library. Read the text or listen to an audio version narrated by Meaghan Murphy. See Evaluating Electronic Children's Literature for comments from Tufts Univ. on the photographed images of clay figurines used as illustrations. "Molly Whuppie and the Double-Faced Giant." From English Fairy Tales, retold by Flora Annie Steel. 1918. The Macmillan Company, 1962. Reprinted in The Baldwin Online Children's Literature Project, 2000-2008. Click here for a summary of this Molly Whuppie tale. Other English or Scottish versions of "Molly Whuppie" are in many anthologies and feminist collections by Barchers, Lurie, etc. Jane Yolen's collection Not One Damsel in Distress contains a b/w full-page illustration by Susan Guevara of little Molly skipping across the bridge of one hair, carrying a huge sword she took from the angry giant. Yolen, who mentions the American Mutsmag and Nippy in her notes, prefaces the story with "Smart, forward, and bravethat's the very definition of a hero" (p. 95). Parts of "Mutsmag" and "Molly Whuppie" are similar to giant-killing tales about Jack and also to "Hop o' my Thumb," about a tiny youngest son who helps his 6 brothers escape from an ogre by exchanging head gear with the ogre's 7 ogress daughtersfound in editions of French fairy tales by Charles Perrault. Andrew Lang's later version in English is online at SurLaLuneFairyTales.com. In "Kumaku and the Giant" (from Fiji), a girl escapes from two giants by tricking them with her magic song, which summons help from the wind. In Kathleen Ragan, ed. Fearless Girls, Wise Women & Beloved Sisters: Heroines in Folktales from Around the World. New York: Norton, 1998, pp. 294-95. Kumaku is also similar to Little Red Riding Hood and the girl in the African-American "A Wolf and Little Daughter." "Molly Mullet" (1975) by Patricia Coombs is very much like "Molly Whuppie" or "Mutsmag." Rpt. in Jack Zipes, ed. The Outspoken Princess and the Gentle Knight: A Treasury of Modern Fairy Tales. Illus. Stephanie Poulin. New York: Bantam, 1994. This Molly has no siblings, but her parents and king seem to belittle the girl child, until the end reveals that her mother, a tired housewife, deliberately gave her the scissors and yarn she uses to escape from the giant (like Mutsmag's mother giving her the old kitchen knife). The king tries to give her father credit for recovering stolen gold from the giant. A blackbird helps her make a bridge of braided yarn (like Molly Whuppie's bridge of one hair) and defeat the giant, who finally falls in the gulch between his home and Molly's. The book's cover illustration is a painting of stalwart Molly holding the giant's huge sword after stealing it, while the king bows to her, before making her a knight. "Managing Molly." In Diane Goode. Diane Goode's Book of Giants and Little People. New York: Dutton Children's Books, 1997. pp. 30-37, with warm, colorful illustrations. Molly and her poor father trick a greedy, rich Ogre who wants to marry her. Molly is so clever and her father so proud of her that the Ogre is at first impressed with her thrift but then doesn't want her, and gives them a fine flock of geese for their trouble. At the end: "As for Managing Molly, with her good dowry, she was able to pick precisely whom she wanted to marry." Adapted from a longer 19th-century English tale by Julia Horatia Ewing, published in Aunt Judy's Magazine. "The Boys and the Giant." From Canadian Wonder Tales by Cyrus MacMillan. Illus. George Sheringham (London: John Lane, The Bodley Head, 1918). Reprinted in The Baldwin Online Children's Literature Project. Three boys "hunting in the Canadian woods in old times... pretend[ing] to be big like men," are easily captured by a giant hunting for food but escape by waiting until they pass branches that make a noise and cutting a hole in a sack with their knife, as Mutsmag does in some versions of her tale. The adults are then able to shoot the giant and his brother in their cave. In the same Canadian book, "The Boy of Great Strength and the Giants" depicts a tiny boy in the West who proves to his sister that he has great physical strength and can defeat giants, whom he cuts up so that future men never become giants. "The Old Dame and Her Hen." In Popular Tales From the Norse by George Webbe Dasent . Reprinted online in The Internet Sacred Text Archive. The three daughters of a poor widow in this tale set off to find their mother's precious hen. The youngest falls into a cleft in the rock and finds her sisters dead there. (The tale is similar to Jack and Old Dragaman here.) She agrees to be the sweetheart of the Man o' the Hill, an ogre, to protect herself. She gets him to take food to her mother, and sneaks riches into the sack he carries. Later she finds that he has a magic flask so she brings her sisters back to life and sneaks them out in the sacks for her mother. Werth, Kurt and Mabel Watts. Molly and the Giant. Illus. Kurth Werth. New York: Parents Magazine Press, 1973. N. pag. Click here for a summary of this retold Irish tale. Jarman, Julia. Molly and the Giant. Illus. Sholto Walker. Sea Girt, NJ: Dingles, 2007. Picture book with cartoon-like illustrations in which the name is Molly Whipple and the sisters are Polly and Dolly. Almost everything is softened in this story: the girls have two parents and the sisters just laugh at Molly for being little but when they get lost in the woods, Molly proves to be "brave as a bear." She tricks the giant into believing there are three plumper girls to eat upstairs, although there are no other girls. The timid king stammers and Molly suggests getting rid of the giant, so she easily steals a magic sword, magic purse, and magic ring. The One Hair Bridge is a small wooden bridge over a narrow stream. Molly's sisters fall in love with princes whom they marry as rewards but Molly isn't ready for marriage so she asks for a castle for her family instead of Prince Tim. The giant, who has spoken in verses that spin off the "Fee fie foe fum" rhyme, shrinks without his magic and eventually vanishes. Willey, Margaret. Clever Beatrice. Illus. Heather M. Solomon. New York: Aladdin/Simon and Schuster, 2001. Building on the French-Canadian conte tradition of exaggerated tales from lumber camps and iron mines, Willey creates a female hero in this picture book set in upper Michigan. Since her mother is poor and she can't go work as a lumberjack for money, Beatrice realizes she can trick the rich giant because he isn't very smart and he loves to gamble. As in stories of Jack and the Giants, she wins bets with the giant by bragging of her greater strength, tricking him into giving her his money so that she won't break his door, pull up his well or throw an iron bar in an inconvenient place. "Betsey Long-Tooth." In Cothran, Jean, ed. The Whang Doodle: Folk Tales from the Carolinas. Illus. Nance Studio. Columbia, SC: Sandlapper Press, 1972. pp. 54-59. From Wilson County, NC. A northern English man follows witches into the London night, imitating their rituals and spells, but one takes his magic nightcap and since he's stranded, he is nearly hanged for stealing cider pudding from a warehouse, where they had all been drinking. Betsey Long-Tooth, the one who had given him shelter for the night, rescues him from jail, gives him back a magic nightcap so they can escape, and after they return to her warm house, they marry and live happily. This tale overlaps with "Mutsmag" when the wandering, hungry man seeks shelter with a hospitable old woman whose home contains some mischief, and when he uses one of her magic knitted nightcaps. He has to chop wood for the widow before she feeds him. See also "Sop Doll" for other tales with witches. In Rebecca Caudill's chapter book Did You Carry the Flag Today, Charley? (New York: Yearling, 1966), an Appalachian boy just turning five learns to like books at preschool and he loves it when the librarian tells stories. His favorite stories are "Molly Whuppie," one about Jack and a beanstalk, and one about a shoemaker and elves. In one scene he asks for "Molly Whuppie" and he enjoys following the storyteller's inflections but he gets into mischief as usual by bumping his chair and then the other children do the same, interrupting the storytelling session (pp. 36-37).